First cultivated by the Romans, the Mosel Valley, with its tranquil namesake river, has long been considered one of the most romantic settings in Europe. 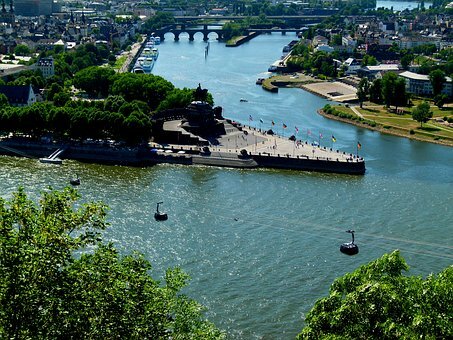 At more than 500 kilometres and one of the Rhine’s longest tributaries, the Mosel River flows through France, Luxembourg and western Germany, where it joins the Rhine at Koblenz. The river meanders past steep terraced vineyards where some of the best Rieslings grow. Castles tower over picturesque villages, art-nouveau architecture impresses in Traben-Trarbach and medieval market squares promise interesting exploration. Below are just a few of the reasons to explore the Mosel Valley, a place as full of history and culture as it is full of breathtaking vistas to sip a glass of Riesling. The twin town of Bernkastel-Kues, with Bernkastel on one side of the river and Kues on the other, is often called the heart of the Middle Mosel. This well-known health resort is the birthplace of the famous theologian and philosopher Nicholas of Cusa (1401-1464) and our start for Rowing The World’s Mosel Valley trip, where we row past some of the steepest vineyards in Europe. Besides shopping at the picturesque Mittelalterlicher Marktplatz (see below), the Mosel-Vinothek & Wine Museum is the best place to try a few wines in one of Germany’s oldest wine regions. 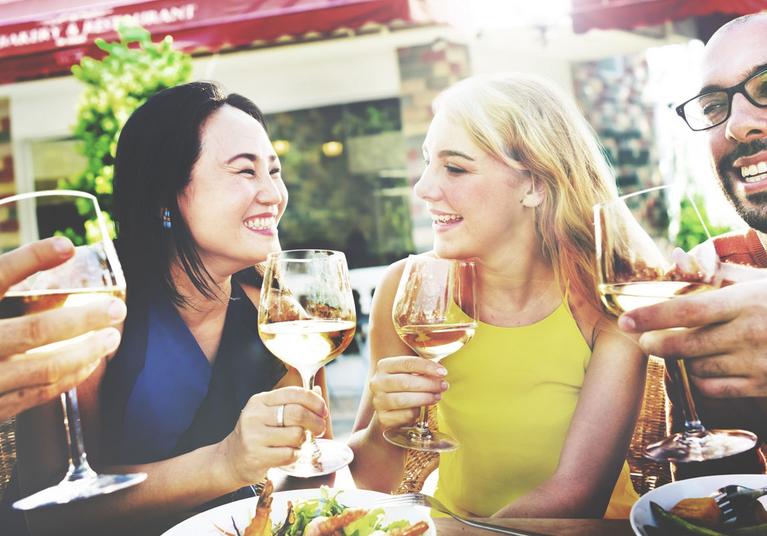 In the wine cellar, you may taste a few of the 150 types of wines that the local vineyards proffer. It’s easy to find one or two you like to enjoy at your next stop. The museum also features a flight simulation over the valley and vineyards and you can try out your expertise at the aroma bar. 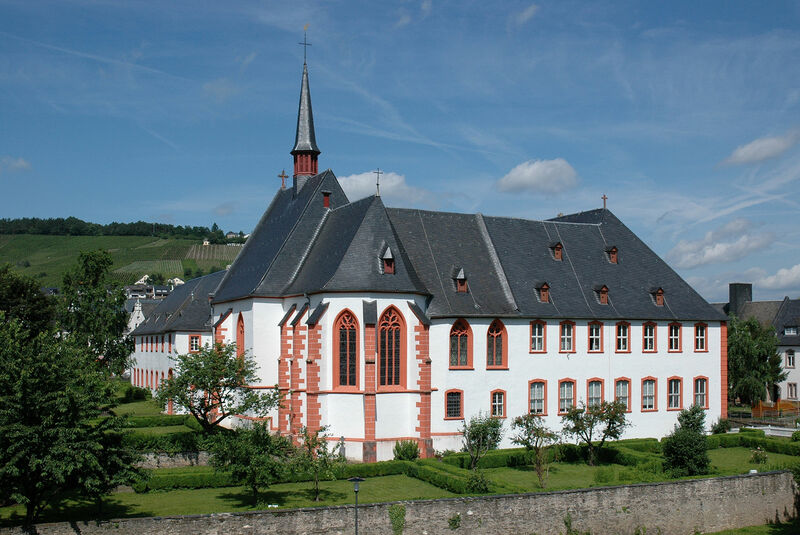 The wine museum in Bernkastel-Kues is inside St. Nikolaus Hospital, founded in 1447. The hospital, also known as the Cusanus Foundation, is a late Gothic monastery complex that was originally intended as a hospital for 33 needy men, for the 33 years in the life of Jesus. The medieval library located above the chapel in the complex houses one of the most valuable private manuscript collections with 314 catalogued manuscripts in Latin. Other places along the Mosel are recognized health centers, but Traben-Trarbach, along with art nouveau architecture and wines, has the only thermal bath in the Mosel Valley. Warm, healing 32-degree spring water bubbles up through the shale from a depth of 400 metres. Take in the baths after checking out the art nouveau architecture and before the wine. 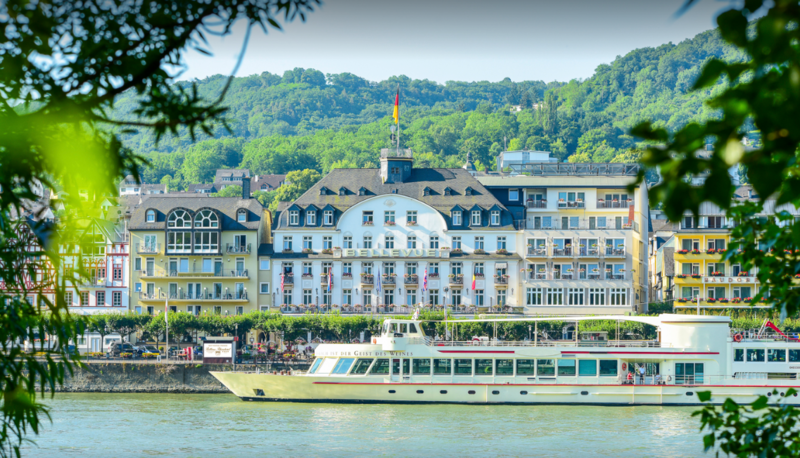 Rowing The World’s trip includes a stay in an art nouveau hotel in Traben-Trarbach, so while there, we will be immersed in the architecture, and we hope the baths too. Castles here. Castles there. Castles everywhere but you can’t go wrong visiting the Reichsburg, also called the Imperial Castle or Cochem Castle. Cochem, the largest town on the Lower Mosel with more than 5,000 residents, was first mentioned in 866 as Villa Cuchema. Cochem, like most cities at that time, was inhabited by the Celts and the Romans. Thanks to the very steep slate slopes of the lower valley, excellent Rieslings thrive, (have I mentioned that before?) but it is the Reichsburg Castle, reigning high on a cliff above Cochem, that marks the land. Climb the steep trail to the castle and take a tour of the interior to capture the whole story. For the real thing, however, take in Burg Eltz, an 850-year-old castle nestled in a forest and looking very much like it was built by King Ludwig of Bavaria. Of all the towns along the Mosel, the Mittelalterlicher Marktplaz in Bernkastel-Kues is perfect for shopping for a bottle of hard-to-find Riesling or something as practical as shoes. 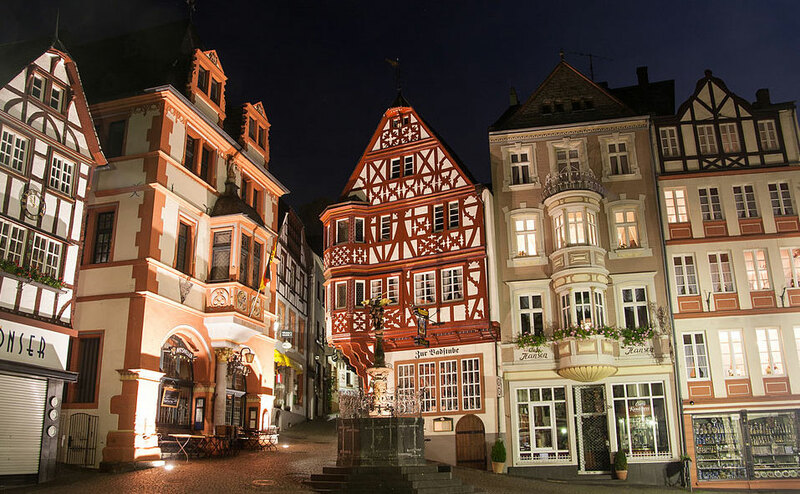 The medieval half-timbered buildings, narrow alleys and many shops and cafes make it a pleasurable destination to shop in between stops for strudel or local Schnapps. Consider also dining on the smoked Mosel eel, a local treat. The Town Hall is located on the square as well as the St. Michaelsbrunnen (St. Michael’s Fountain). Some areas of the garrison city of Koblenz with its 106,000 inhabitants, are part of the UNESCO World Heritage Sites. In fact, Koblenz comes from the original Latin Confluentes, or confluence, as this is where the Mosel flows into the Rhine. Gorgeously framed by four low mountain ranges, the town is also famous for its “Deutsche Eck” or German Corner, which we visit on our Mosel trip in October. Essentially, it is the spit of land where the Mosel meets the mighty Rhine. We will get a different and higher view of it from Festung Ehrenbreitstein, Europe’s largest fortress, towering 120 metres above the water. Now you have six reasons to visit the Mosel Valley, one of Germany’s most romantic river valleys. But, there is so much more to discover in this steep-hilled valley known for incredible wines, historic towns, healthy baths, great cuisine and friendly locals. P.S. Often you will see Mosel written as Moselle, and different spellings depending on if the reference is to the river, the valley or the wines. This wine website offers an historical and interesting explanation in a piece entitled Moselle or Mosel? If you liked this post, check out our blog!